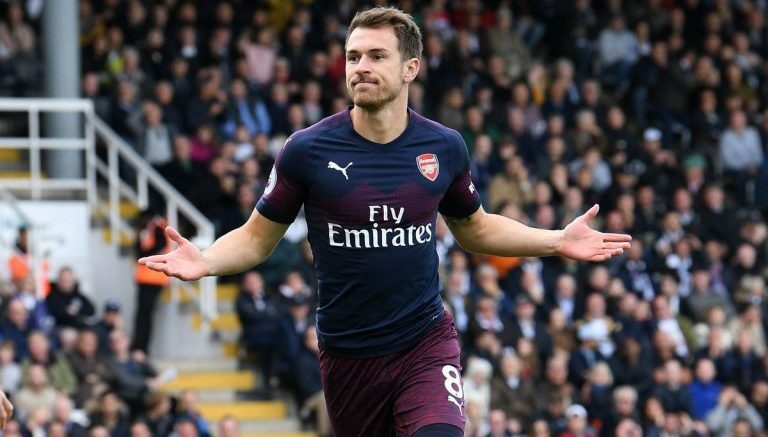 Inter Milan executive Giuseppe Marotta has been in contact with Arsenal and with Aaron Ramsey’s agent in the last few hours, as the Serie A club plan a January transfer. Italian outlet Sport Mediaset write that Marotta already liked Ramsey when he was working for Juventus, but he’s even keener to sign the midfielder now he’s with Inter Milan. As a result, the executive has made contact with both Arsenal and Ramsey’s agency in the last few hours. According to Mediaset, the goal for Inter is to seal a deal for Ramsey before the likes of Liverpool, Manchester United, Milan and Bayern Munich get a chance. Be the first to comment on "Confirmed: Arsenal complete early January transfer discussion with Euro giants to sell midfield maestro"